At the beginning of each player's upkeep, that player gains control of Risky Move. 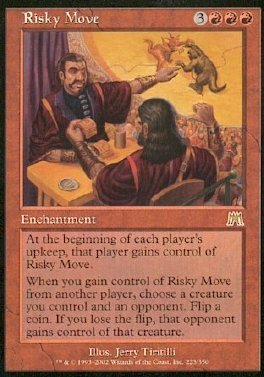 When you gain control of Risky Move from another player, choose a creature you control and an opponent. Flip a coin. If you lose the flip, that opponent gains control of that creature.